Outstanding people deserve outstanding recognition! Our most popular logo plaque features an elegantly scrolled brass plate that exquisitely presents your corporate logo or emblem within a gold wreath. See our selection of stock emblems available. Engraving: Prices include up to 60 letters engraved, additional letters are .12 each. 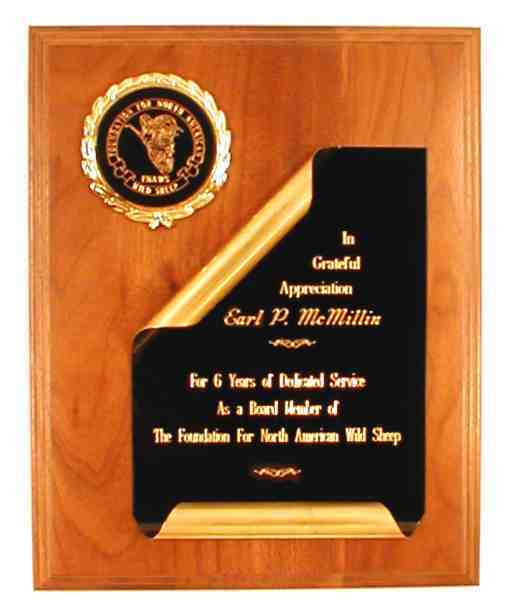 This plaque, pictured with a burgundy marbled board, features an elegantly forward and reverse scrolled brass plate. Engraving: Price includes up to 60 letters engraved, additional letters are .12 each. Timeless beauty and quality never go out of style! 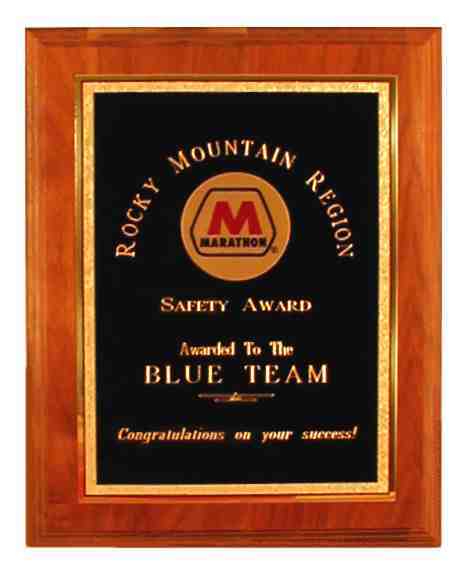 This versatile plaque is available in 6 different sizes to accommodate any budget. 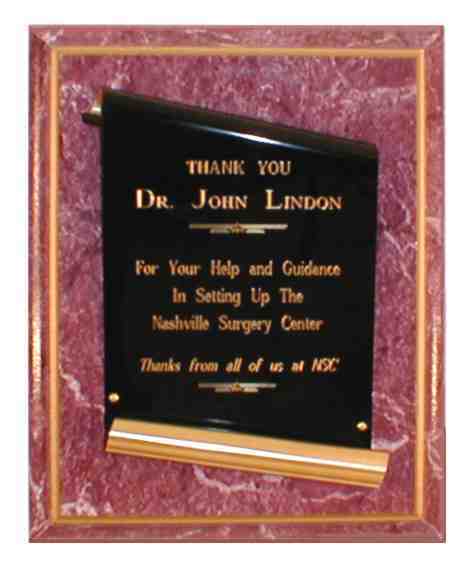 The quality black brass plate engraves out in gold letters. See our selection of stock emblems available. Plate Options: All plates are black with gold Florentine border.